This page contains information about the admission process for the International Program (Special Course; M.Sc.) at the Aquatic Science Program. Informasi ini akan memandu anda untuk melakukan pendaftaran sebagai mahasiswa baru. 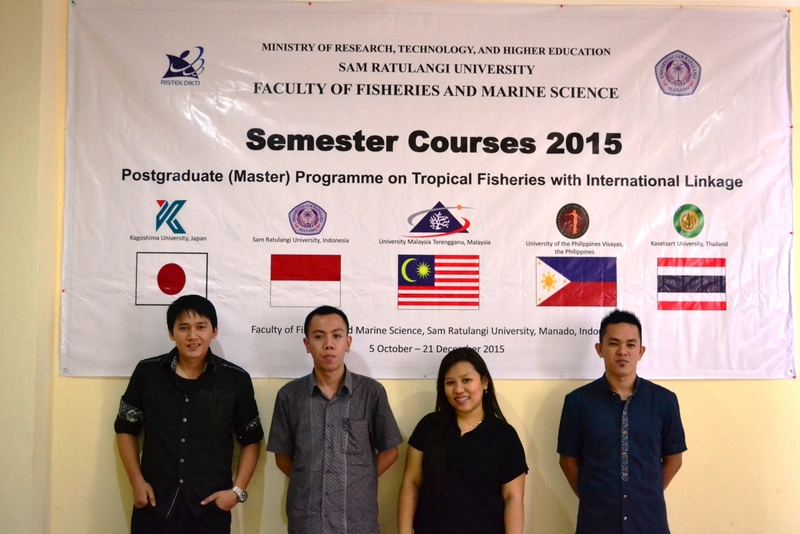 Courses of Tropical Fisheries with International Linkage (TFIL) 2015 in Aquatic Science Study Program (ASP), Faculty of Fisheries and Marine Science (FoFMS), Sam Ratulangi University (UNSRAT), Manado, Indonesia, was officially opened by the Dean FoFMS. The event was attended by students and teachers of TFIL. Lectures will take place until December 2015. Older announcements can be found on the old website. Prof. Dr.-Ing. Gilian Gerke, Resource Management, University of Applied Sciences Magdeburg-Stendal, Magdeburg, Germany, 3-7 March 2018. Nov 2, 2016 (Time: 15.00-17.00; Venue: BMKG Winangun): English Course for Students (first day). Oct 28, 2016 (Time: 09.00-16.00; Venue: PS IPA): “Training scriptwriting for scientific journals for students” (first day). Oct 27, 2016 (Time: 10 to 12 am; Venue: R-Rapat PS IPA Pasca): Research Proposal Seminar by Ely John Karimela (15202105004). Note: open for students to attend. 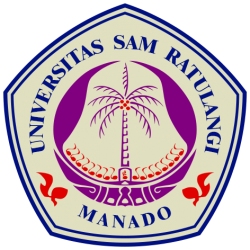 Oct 13, 2016 (Time: 10.00; Venue: Aula FPIK): Public Lecture: “marine pollution with some aspects of the situation in Manado”; by Prof. Heike Waegele (ZFMK, Germany). Note: Open for public. 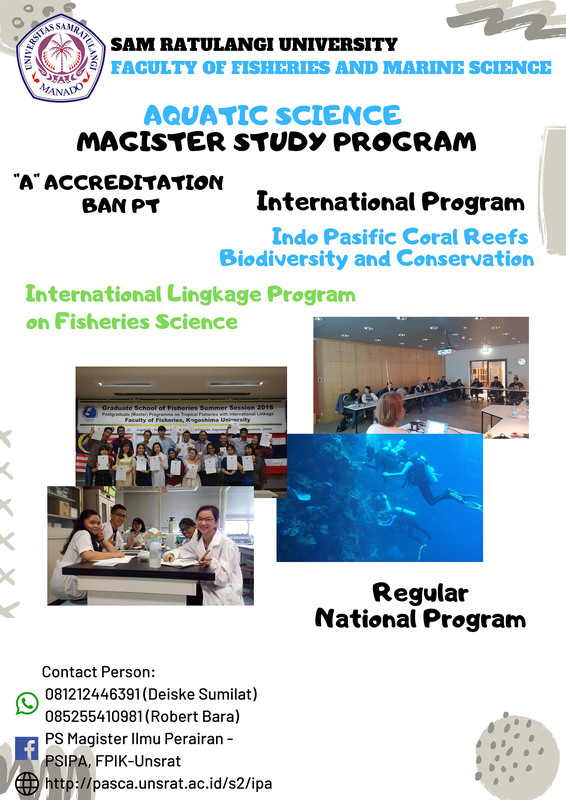 Sept 26, 2016 (Time: 10.00; Venue: R-PS IPA): Opening Ceremony of Field Course of “Bio-ecology of Tropical Waters”. Sept 6, 2016 (Time: 10.00; Venue: Conference Hall, 4th floor, Rectorate): Public Lecture: “Gempabumi dan Tsunami”; by Dr Andi Eka Skya (Kepala BMKG Indonesia). Note: Open for public. August 13, 2016 (Time: 06.30; Venue: Malalayang Beach): Community Service: beach cleanup. Note: all students must attend. August 12, 2016 (Time: 05.30; Venue: FPIK): the opening ceremony of Anniversary 51th of FoFMS. Note: all students must attend. August 1, 2016: all classes in the odd semester start. July 14 to 24, 2016: re-registration of the new students for the National Program. July 14, 2016: announcement of the new students for the National Program. July 13, 2016: examination & interview for prospective new students for the National Program (Reguler; M.Si). 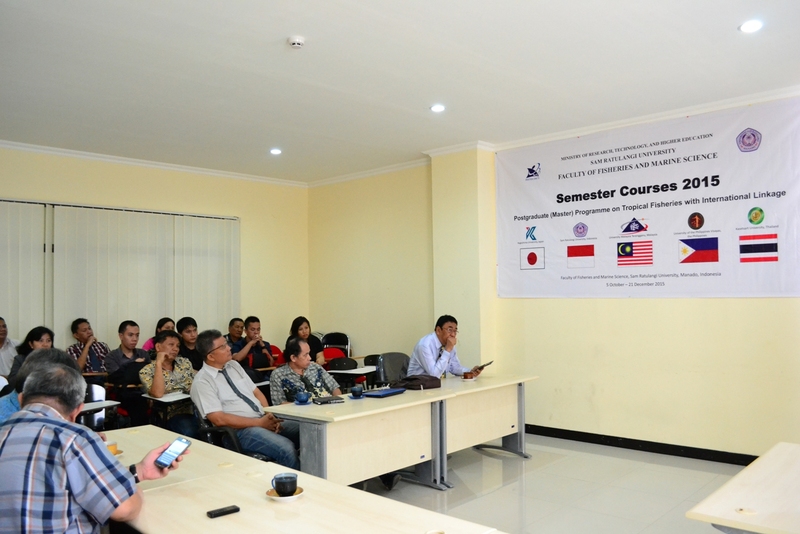 June 24, 2016 (Time: 10 to 12 am; Venue: R-PS IPA): Research Result Seminar by Frederik Dony Sangkia (1223205027). Note: open for students to attend. June 24, 2016 (Time: 8 to 10 am; Venue: R-PS IPA): Research Result Seminar by Muslim Hi. Salim (13202105009). Note: open for students to attend. June 23, 2016 (Time: 10 to 12 am; Venue: R-Rapat FPIK): Comprehensive Thesis Examination by Audy M.H. Dien (13202105008). Title: Study on Mangrove Ecosystem Potential In Its Management As Ecotourism Area In Bahoi, Likupang District, North Minahasa Regency. 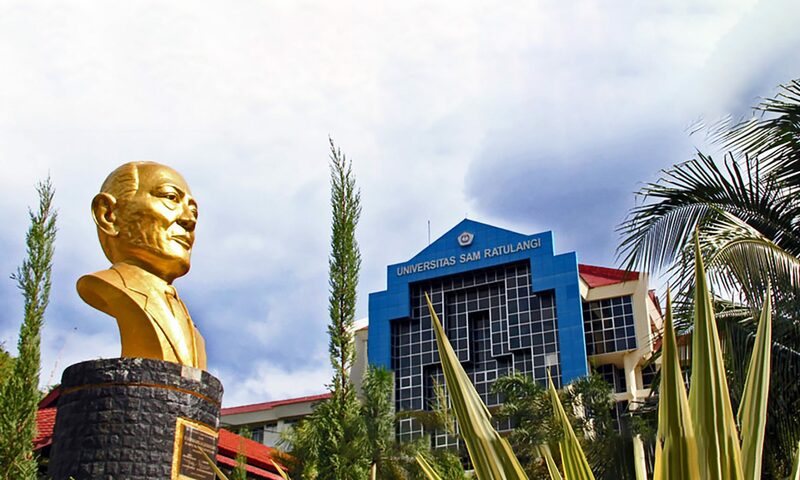 June 23, 2016 (Time: 8 to 10 am; Venue: R-Rapat FPIK): Comprehensive Thesis Examination by Muhammad Zainul Arifin (13202105016). 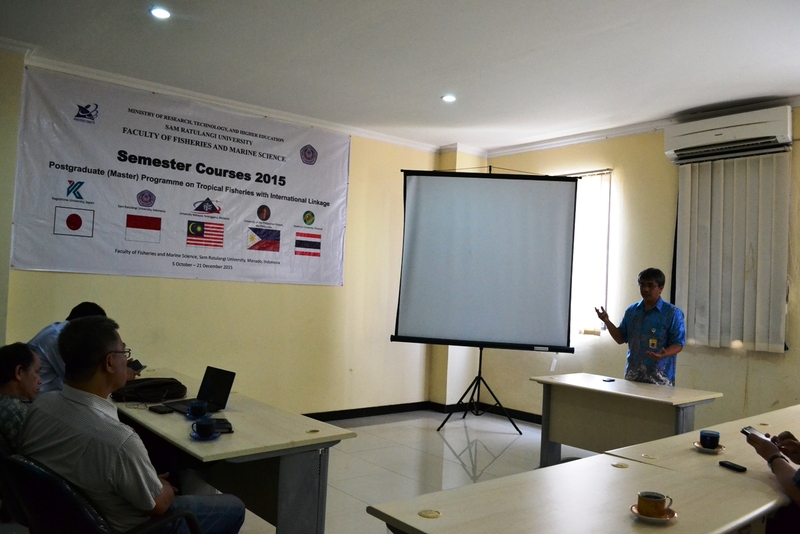 Title: The Analysis of Capture Fisheries Performance In Lembeh Island, Bitung Municipality, North Sulawesi. June 10 to July 10, 2016: new student registration period of the National Program (reguler). See the complete schedule. June 3, 2016 (Time: 15 to 17 pm; Venue: R-PS IPA): Research Result Seminar by Muhammad Zainul Arifin (13202105016). Note: open for students to attend. May 27, 2016 (Time: 10 to 12 am; Venue: R-Rapat PS IPA Pasca): Research Proposal Seminar by Keren Wulan Lumi (13202105021). Note: open for students to attend. May 20, 2016: Community Service at Ratatotok Village, Southeast Minahasa Regency, North Sulawesi. Note: all students should participate. May 19, 2016 (Time: 1 pm; Venue: PS IPA Pasca): departure time to Community Service at Ratatotok Village, Southeast Minahasa Regency, North Sulawesi. Note: all students should participate. May 19, 2016: Graduation Ceremony at UNSRAT. May 18, 2016: Graduation Ceremony at Faculty of Fisheries and Marine Science. May 18, 2016 (Time: 3 pm; Venue: R-PSIPA FPIK): Meeting of the Committee for Socialization of ASP Program. Note: all the committee members are invited. May 13, 2016 (Time: 1 to 3 pm; Venue: R-Rapat FPIK): Research Proposal Seminar by Nasprianto (13202105020). Note: open for students to attend. May 13, 2016 (Time: 10 am; Venue: R-PSIPA FPIK): Meeting of the Committee for Socialization of ASP Program. Note: all the committee members are invited. May 11, 2016 (Time: 11 am; Venue: PS IPA Pasca): Meeting between ASP Coordinator and BMKG. Note: all members of the ASP Student Union (HIMAPRO) are invited. May 10, 2016 (Time 1 to 3 pm; Venue: PS IPA): Meeting of the Committee for Socialization of ASP Program. Note: all the committee members are invited. May 2, 2016: Comprehensive Thesis Examination by Dedy Suprianto (14202105010). 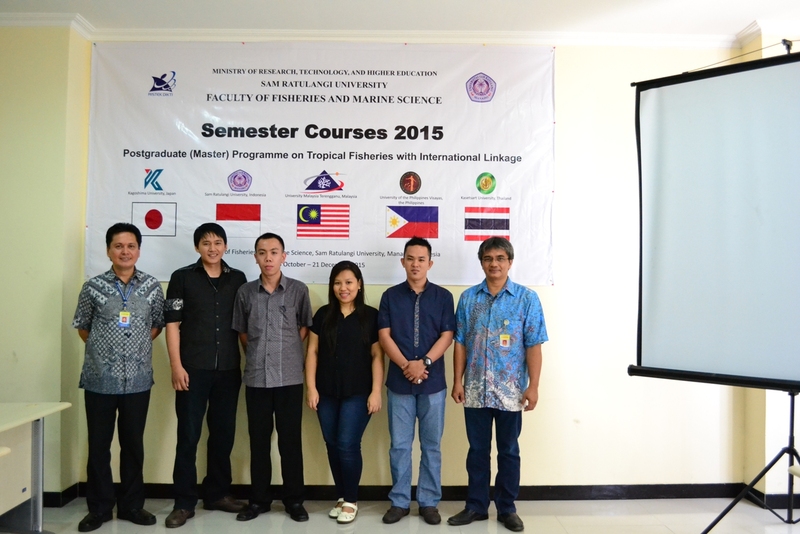 Title: Analysis of Business Pattern and Tuna Fishing Season In Southeast Minahasa, North Sulawesi. April 29, 2016: Research Proposal Seminar by Yubelina Hibata (14202105005). Note: open for students to attend. April 28, 2016: Comprehensive Thesis Examination by Ingrid N. Undap (14202105001). Title: Antibacterial Activity of Sponges, Smenospongia aurea, Strepsichordaia sp., Agelas tubulata and Phyllospongia sp. 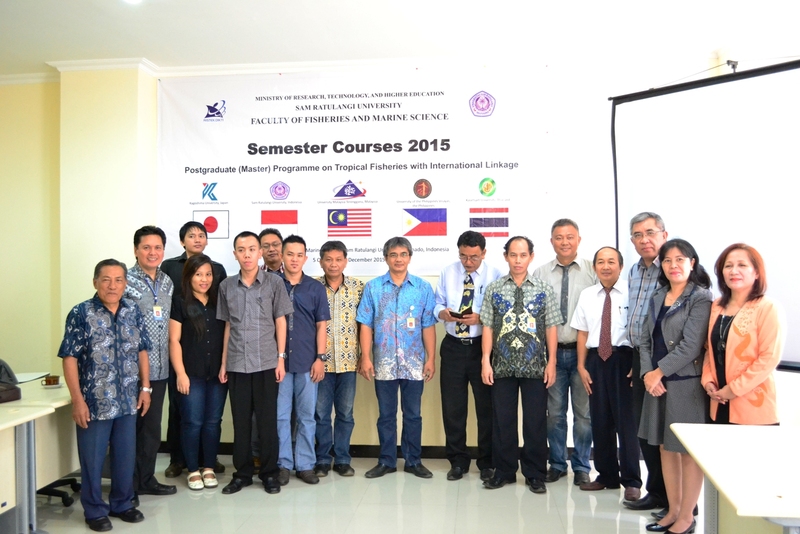 From Manado Bay Against The Growth of Several Bacteria Strains. April 22, 2016: Workshop of Curriculum; International Program on IPCRBC. 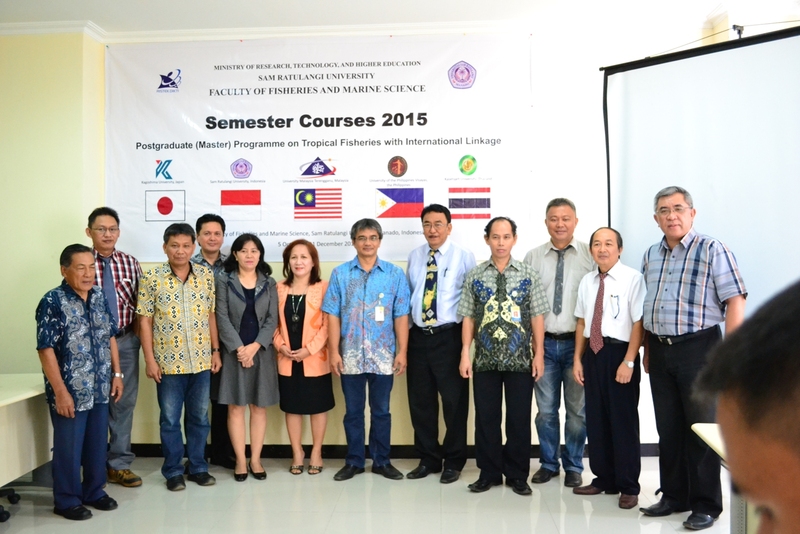 Maret 18, 2016: Research Progress Seminar by Ingrid N. Undap (14202105001). Note: open for students to attend.